A proud moment for Comstar (Information Systems Associates Limited), our client Jubilee General Insurance’s EVP Operations Mr. Azfar Arshad has received a Gold Medal at 6th FPCCI Achievement Award. Jubilee General Insurance Company Limited. Introduced in 1953, the company Jubilee General vows to introduce innovative products the insurance industry has to offer. With the biggest stars shining bright, the name of Jubilee is not far behind, and known for evolution and sustained growth, thus holds the bragging rights to be known as one of the “Big Three” insurers of Pakistan in terms of financial base and gross direct premium. In the past getting a car insurance policy was not so easy and a time-consuming task. Whether filing an insurance application or getting the application approved, a minimum of 8 hours to a maximum of 2 days is required for the entire process. Plus, a mammoth amount of paperwork is also involved in the process. 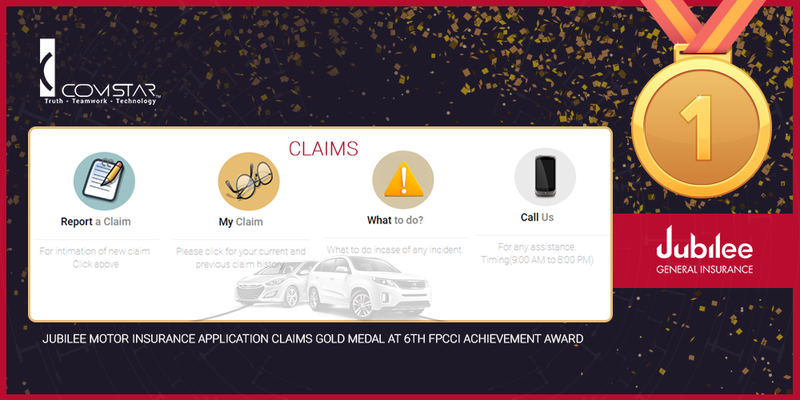 The car claim app is designed to submit claims wherever and whenever without hassle. No matter wherever you are, all you have to do is to get direction and maps, take pictures, collect data in case of the accident, calculate loan fees, and get maps and directions. A pre-built form is also provided in the app that includes all the fields including vehicle sub make, model, color, body type, cubic capacity and seating capacity. In order to create a new policy, you have to provide your personal and vehicle details including name, address, CNIC number, mobile number, email address, registration number, engine number, chassis number, make, sub make, model, color, body type, cubic capacity, seating capacity, tracker detail, and I.E.V. 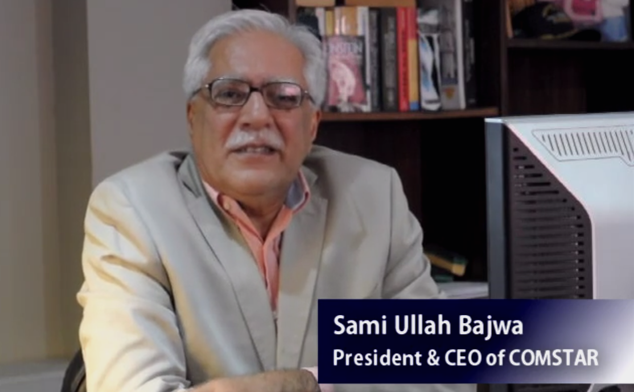 Time is money and this is what Jubilee General Insurance thrives on, and for the sole purpose, the idea of launching the first ever Mobile App for Motor Insurance in Pakistan for its Sales Agents and Marketing Officers emerged. For payment method, you will have to provide the name of the payment beneficiary, payment description, and payment information including card brand, card number expiry date, and verification code. • Create policies on a real-time basis.